A family owned and operated business for 20 years, The Mayfield banquet facility features home cooked food and attentive service at affordable prices. 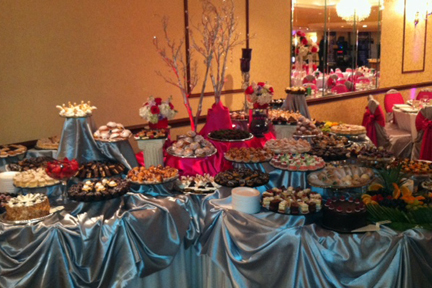 There is plenty of room to accommodate from 60 to 500 guests and the variety of menus offered will suit any occasion. 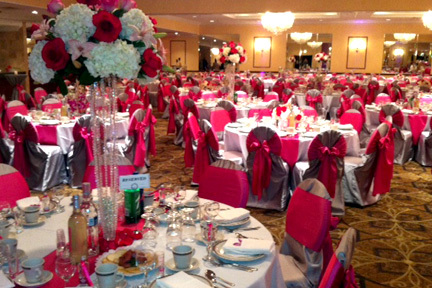 Your party can be enhanced with color coordinated table linens, a generous selection of hors d’oeuvres, or a delectable sweet table. The elegant decor of The Mayfield is complimented by a spacious wood-parquet dance floor and there is also a large parking lot providing off street parking for you and your guests. The Mayfield also has an ideal location just two miles from Midway Airport on Archer Avenue, a 20-minute drive from downtown Chicago, 25-minutes from O-Hare Airport and 5-minutes from the Stevenson Expressway (I-55). 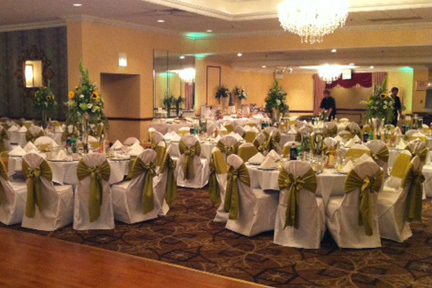 The Mayfield banquet facility is the perfect place to have your next party, large or small, whether you are planning a wedding reception, anniversary, shower, birthday, first communion or any other special event, make arrangements to have it at The Mayfield.